As you may already know, I have an obsession with monthly subscription boxes. I recently signed up for Nerd Block and Loot Crate in an ultimate battle for geeky boxes, but that will be a separate post. This month I had the opportunity (thanks to 20 Something Bloggers) to try out NatureBox, a monthly healthy snack box, and it was FANTASTIC. I'm constantly snacking throughout the day but it can be difficult to find something that's not chips, cookies, or something else I really shouldn't be eating. I usually try to find a "healthy" snack but a few minutes after eating it I'm still not satisfied and grab a pack of unhealthy chips. NatureBox is the first snack I've have that has satisfied my picky taste buds and my hungry tummy. Each month's box contains different snacks, but here's what came in mine. You can eat the snacks straight out of the box, or use them as ingredients to create other snacks and meals. Their blog is full of lots of yummy recipes. Want to try out NatureBox? Use the code SNACKTIME for 50% off your first box! 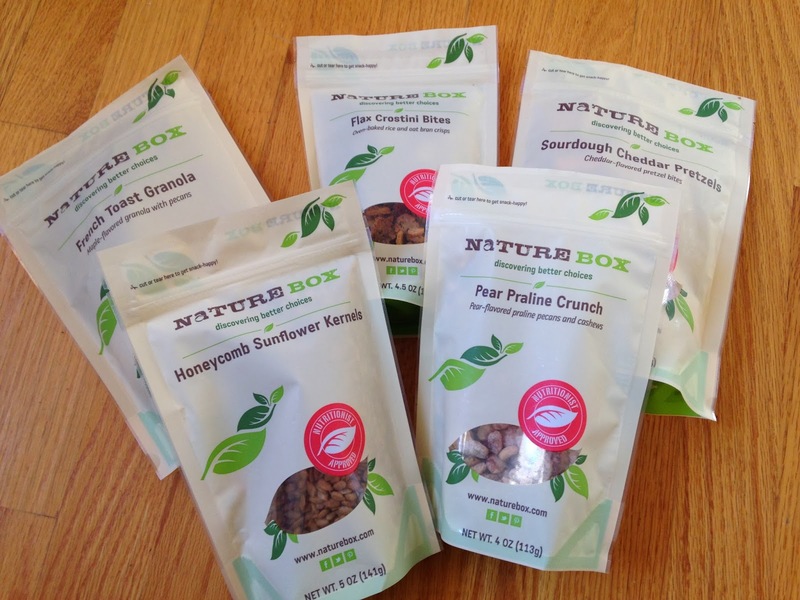 *Promotion is good for 50% off any of NatureBox's 3 box sizes. Valid only on your 1st month's box. New customers only. Not valid on gift subscriptions and may not be combined with any other offers.